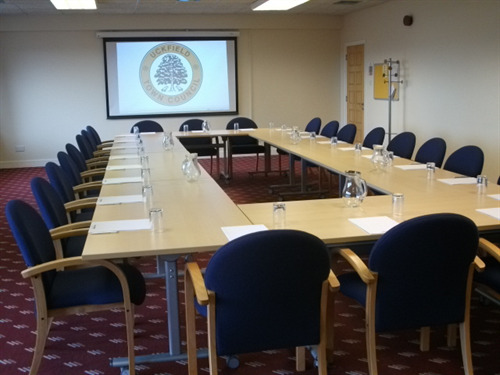 If you are looking for a versatile, reasonably priced meeting room or day conference facility in the centre of Sussex, the Civic Centre in Uckfield is the answer. Situated in the centre of the town, with adjacent parking, and both a main line train station and bus station within easy walking distance. 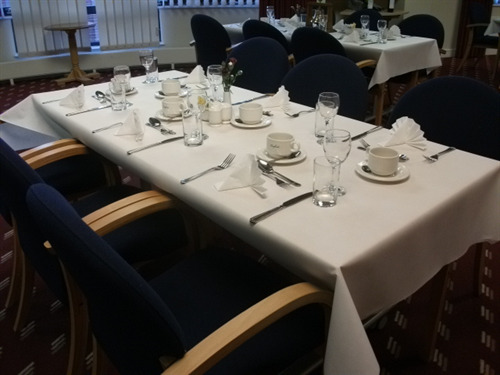 The Civic Centre has seven various sized rooms for hire which offer flexible facilities and all rooms have full disabled access. Whether you need a small private room to conduct interviews away from the work place, a larger room for training sessions, board meetings, or a fully equipped hall for presentations and award dinners - we can accommodate them all at the Civic Centre. Catering facilities can be provided to order in your room by our in-house restaurant, Luxfords - please see our separate Luxfords catering information for further details. All the rooms come with the option of equipment hire, including audio visual equipment and flip charts. We can offer a variety of room layouts to suit your function requirements, from boardroom to classroom to cabaret. Room Rates. 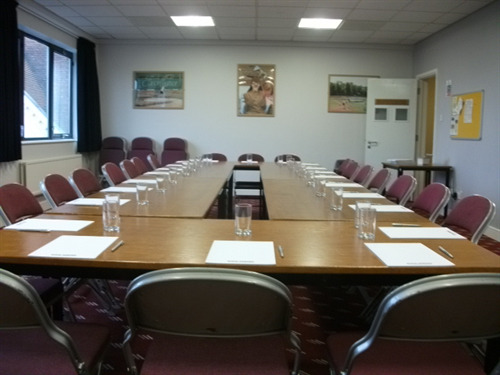 We offer non-commercial room hire rates for charities and selected organisations. Our commercial clients are charged a commercial rate only for our Weald Hall and Ashdown Room facilities. Please visit our Civic Centre Website www.uckfieldciviccentre.com to find out more. The Weald Hall with staging, sound system and lighting offers a large adaptable entertainment space, with maximum seating capacity for 300 people. 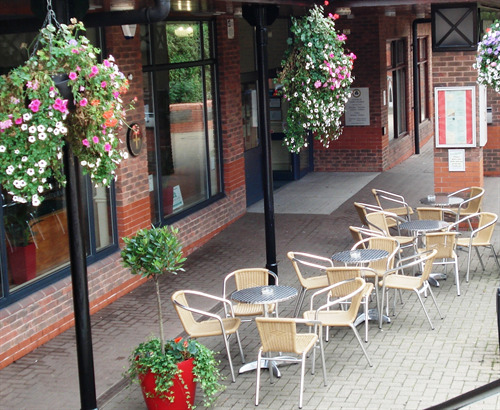 Together with the Licensed restaurant the Weald Hall is an ideal venue for presentations, promotions, dances or shows. 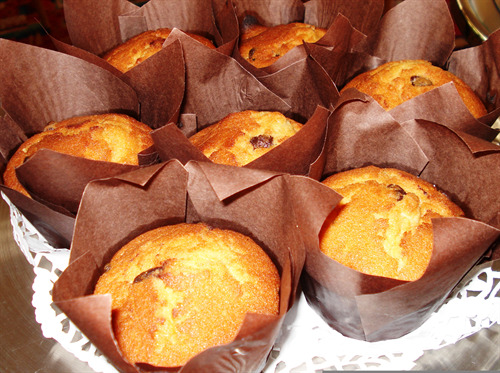 Private parties, wedding receptions and banquets are also very welcome at the Civic Centre. No two receptions are the same - so whether you're planning a big banquet with a band or a small intimate dinner for a few family and friends we have rooms and menus to suit all occasions. The Civic Centre also has free Wi-Fi throughout. Situated on the ground floor of the Civic Centre, Luxfords is open Monday to Saturday 10.00am - 3.00pm serving meals, hot snacks and beverages. The Restaurant also has a fully licensed bar. Luxfords also provides a full in-house catering service for all events and functions at the Civic Centre and is able to provide everything from a sandwich, finger or fork, hot buffet for meetings, training days, conferences, party buffets, sit down dinners for wedding receptions or charity balls. All staff are trained in-house to a high standard. 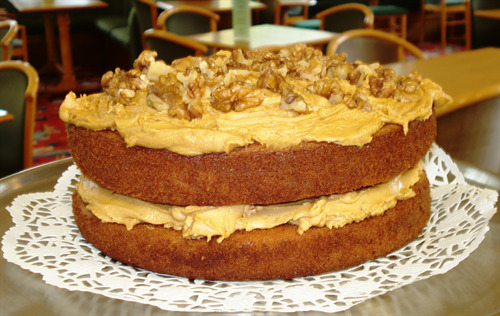 The restaurant is fully accessible to disabled people and to parents with small children. A number of highchairs are available and there is a "buggy park" where push chairs can be safely stored during busy periods. Throughout the year, the restaurant has a number of themed menus, including Sussex Fayre, St Patrick's Day and, of course, Christmas. For our youngest customers there is a children's menu with pages to colour. Uckfield Town Council has installed wireless network technology in Luxfords which is available free of charge for use by customers . Anyone using Luxfords can bring a laptop with Wi-Fi capability and access their social network site, tweet, do their homework or read their e-mails in the comfort of our facilities. All for the price of a cup of coffee and a sandwich or two!